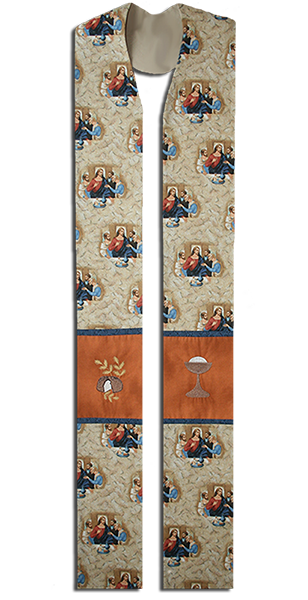 An Advent and Lent must have stole! 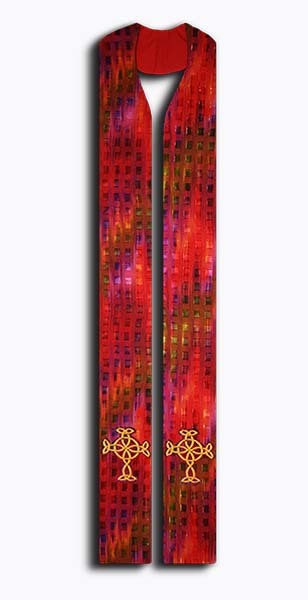 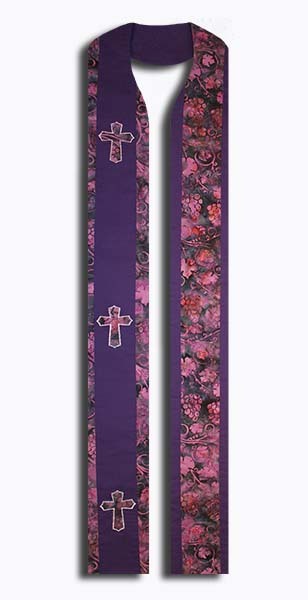 Rich purple batik fabric with left and right sides of the stole opposite. 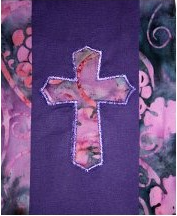 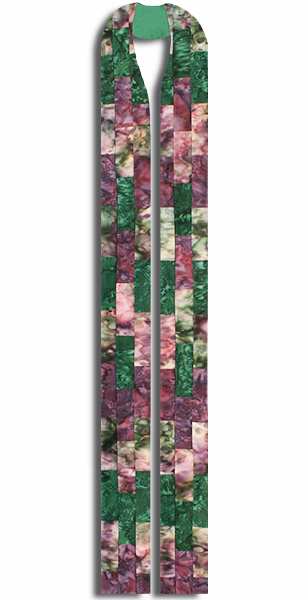 Embroidered on each side is a 3.5″ x 2.5″ cross applique stitched in purple metallic thread.